Gen and Conan O’Sullivan, the owners of DC’s first on-site creamery, are just as serious about their wine. While they don’t produce vino (yet), they take great pains to select ones that complement their creations. The Capitol Hill bar serves almost 30 wines by the glass, and flights paired with cheeses are a house specialty. 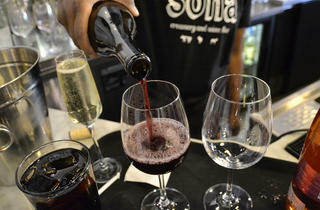 Bubble heads need to try the “Flight of Fancy,” a taste of each of the four sparkling wines. 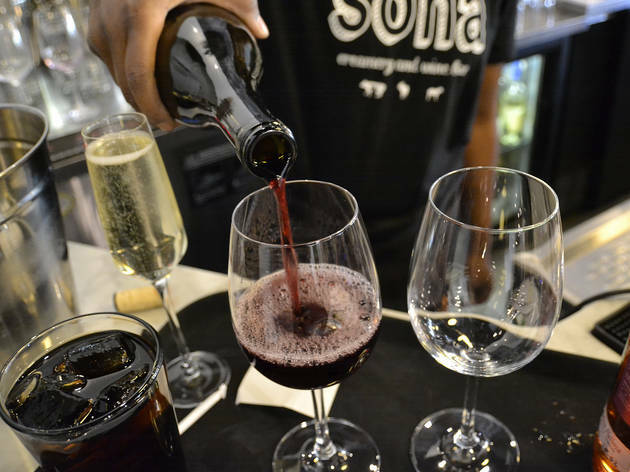 Happy hour runs 4 to 7pm daily and features generous pours of red, white, rose and sparkling wines. Order a side of poutine with house-made curds or a make-your-own grilled cheese while you’re at it.